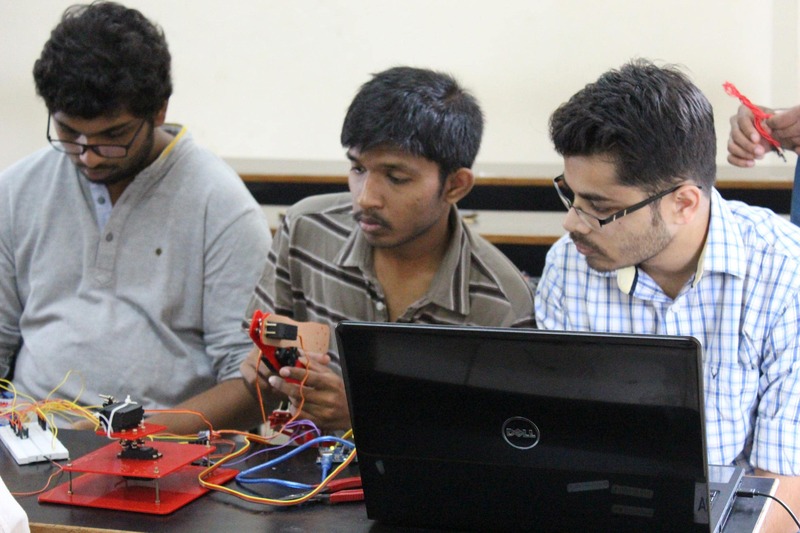 Why build a robotic arm project? Robotic Arm is the most important of all the robots that are used in the industry. Robotic Arm performs various tasks like picking, turning, sorting, placing etc. as part of automating all the steps in manufacturing. Building a Robotic Arm is the only way to learn about robotic arm. This course also includes a software developed by IIT Delhi as part of the course content. 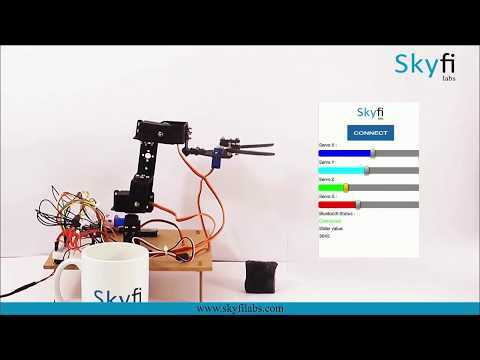 You will learn to build a robotic arm that has 3 degrees of freedom which you can control by your mobile phone. The robotic arm will be connected to the mobile phone through bluetooth and can be controlled by an Android App. Module 1: What is a Robotic Arm? Review: What is a Robotic Arm? How can you build this robotic arm project? How to build a robotic arm project? Login to our online learning portal will be provided instantly upon enrollment. The portal will have video lectures, tutorials, and quizzes required to build the robotic arm project. Kits are well tested and shipped to your doorstep in 24 Hours. Use the kit along with the online portal to complete the project at your home itself. How much time do I have to complete the robotic arm project? What will be in the robotic arm project kit that I will receive?